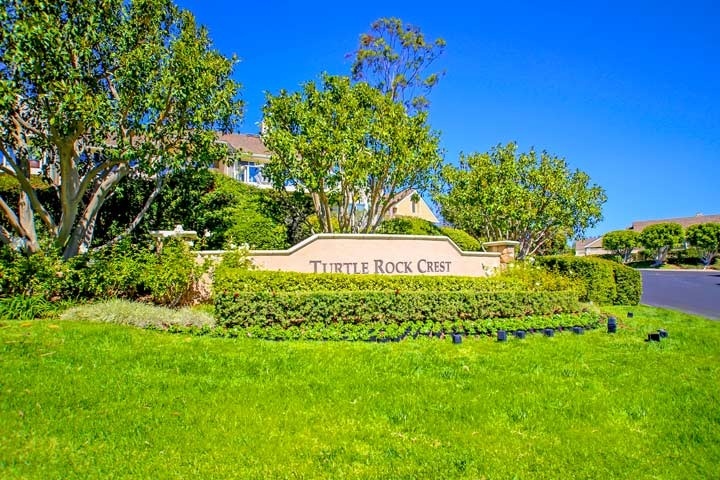 Turtle Rock Crest homes are located in the Turtle Rock area of Irvine, California. This community is located in the heart of the Turtle Rock community and close to the community pool, spa and park area. Crest homes were mainly built in the mid 1980's and offer a combination of attached condominiums and detached single family homes. The three neighborhoods within the Crest are known as Crest Akins, Crest Standard Pacific and custom Crest homes. The community is commonly referred to as "The Crest" with homes offering panoramic city and mountain views. Homeowners association dues are required here with no additional Mello Roox tax. The dues include use of the community pool, spa and barbecue area. Below are the current available homes for sale and homes for lease in the Crest community. Please contact us at 888-990-7111 with any questions regarding this community and any of the homes listed for sale here.